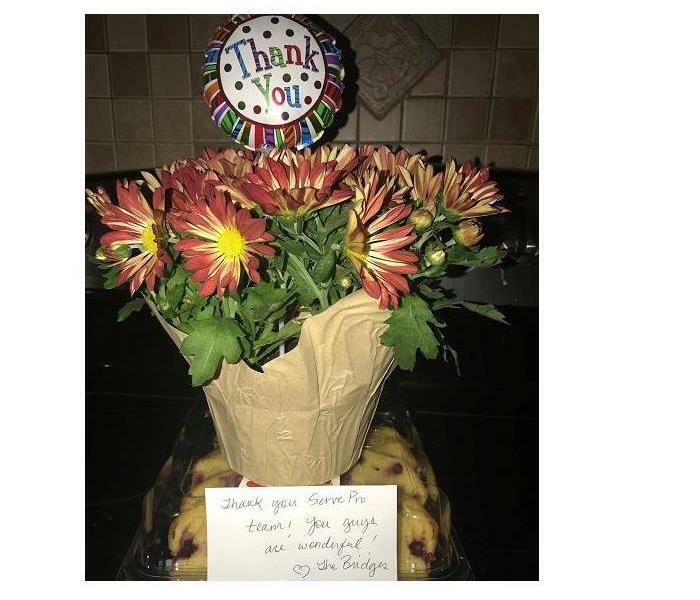 The Bridges had a stove top fire that filled their home with smoke. We cleaned their house from top to bottom and found these goodies on the last day of work. Ms. Jwalea Smith had a 3 story water loss that thoroughly disrupted her home. The A/C unit in her attic malfunctioned and water drained through the ceiling to the two floors below. Her words of thanks made our day!! Trees can add a lot to the value of your property. Should a storm send one down on your home or business, the results can be expensive. If not handled immediately, wind, rain and snow can double the damage. 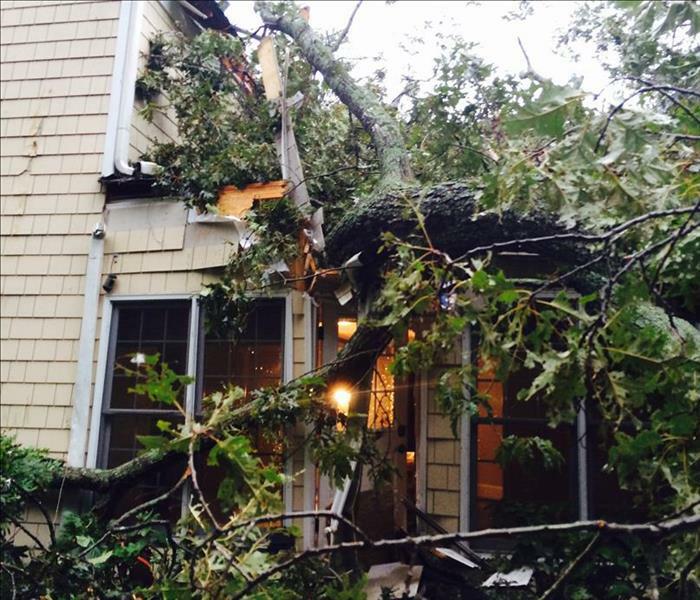 SERVPRO can remove the tree, tarp the roof to keep weather out and repair the exterior and interior. In this case, seeing isn’t believing. Water is sneaky. It seeps into, around and under building materials faster than you think. When water gets underneath vinyl, wood, laminate or tile flooring, the flooring itself traps that moisture between it and the subfloor, causing mold to grow and flooring to buckle or crack. Carpet padding acts like a sponge, creating that same trap. On houses with crawlspaces, the moisture can also leak down and cause mold under the sub floor and in the insulation. Call the experts at SERVPRO and our moisture meters will tell you for sure! What appears to be a small fire often causes damage throughout a building thanks to A/C and Heating systems that transport smoke and soot. Each fire also has its' own chemical composition based on the material burned, length of time the fire burned and method used to put it out. The solvents used to clean one type of fire may worsen the damage of another. Protect your investment!! Call our SERVPRO fire mitigation experts! Looks can be deceiving. Water and sewage within walls and under solid flooring doesn't just disappear. Unless these areas are detected and mitigated, rot and mold will inevitably take over, leading to a far more expensive loss down the road. 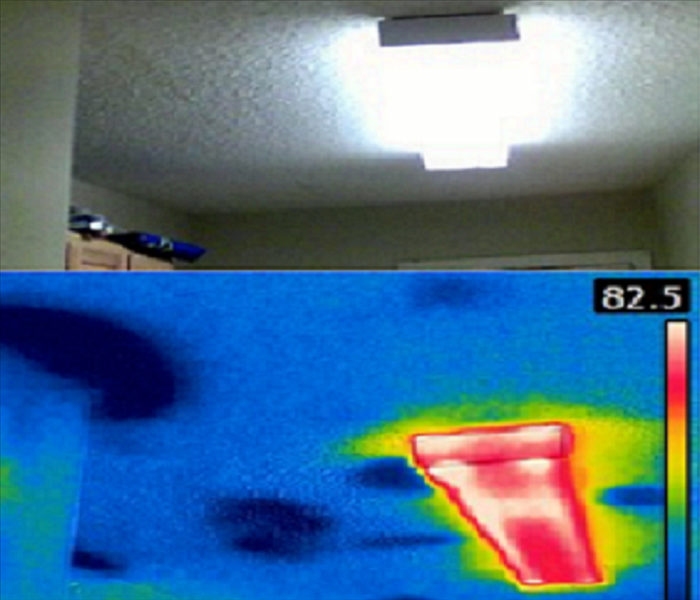 We have what it takes, like the Infrared Cameras used above. 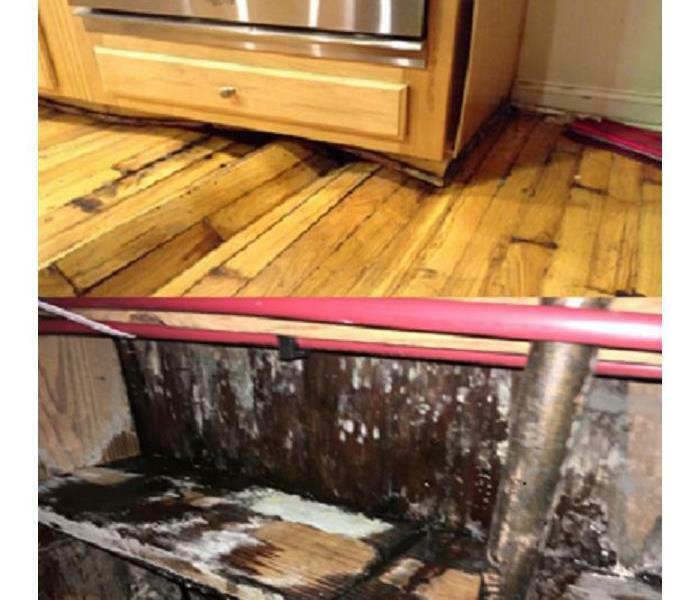 Leave it to the experts at SERVPRO! 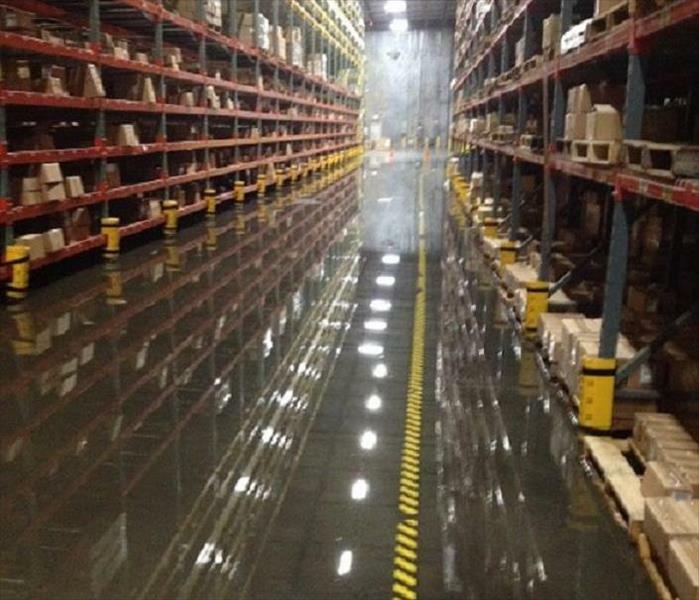 Water losses can wreck havoc on a business, stopping work flow and damaging stock and equipment. SERVPRO understands! Our crews respond immediately and can work around the clock, often getting the doors back open in a matter of hours! 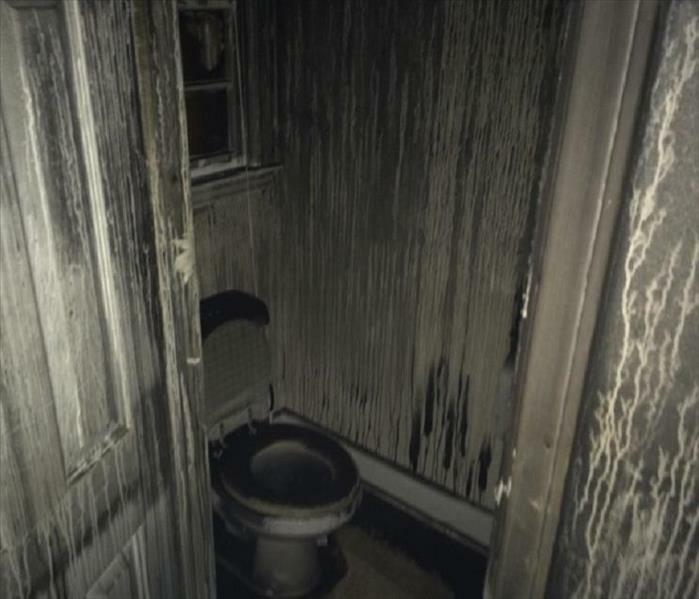 Water and sewage can travel fast, affecting all the floors of large office and residential buildings. These situations often involve multiple owners, managers, tenants and insurance carriers. We can sort it all out, keep the parties informed and handle both cleaning up the damage and reconstructing the spaces. Mold Doesn't Magically Go Away - Handle It Now! A local property management group called us in September of 2014 to quote the mold remediation of one of their vacant office buildings. Fall storm flooding had filled the building up to three feet high without anyone knowing. The $17,000 estimate shocked them and they delayed handling the problem. In March 2015, they called us out again. The mold had gone wild, eating its' way through the surface and into the structure materials. Their 6 month delay resulted in a 6 times more expensive bill of $106,000. Have mold? Call SERVPRO now! 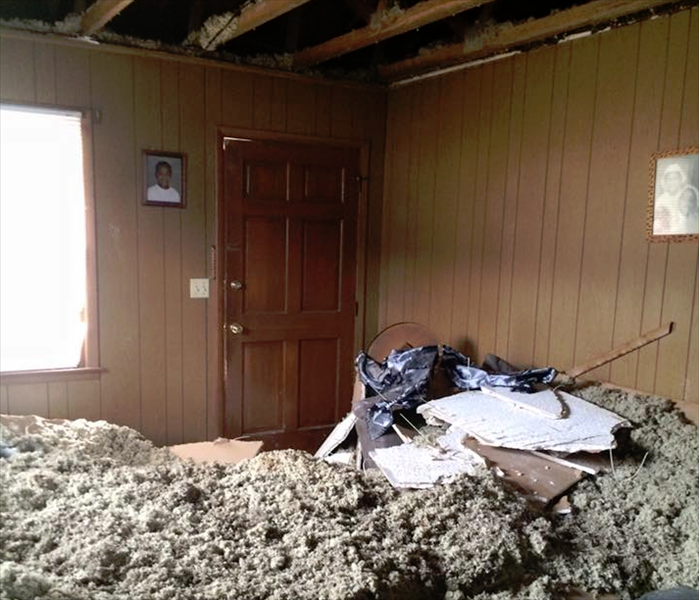 When a loss happens, sometimes property owners try to reduce their costs by demolishing the wet walls before calling in the experts. 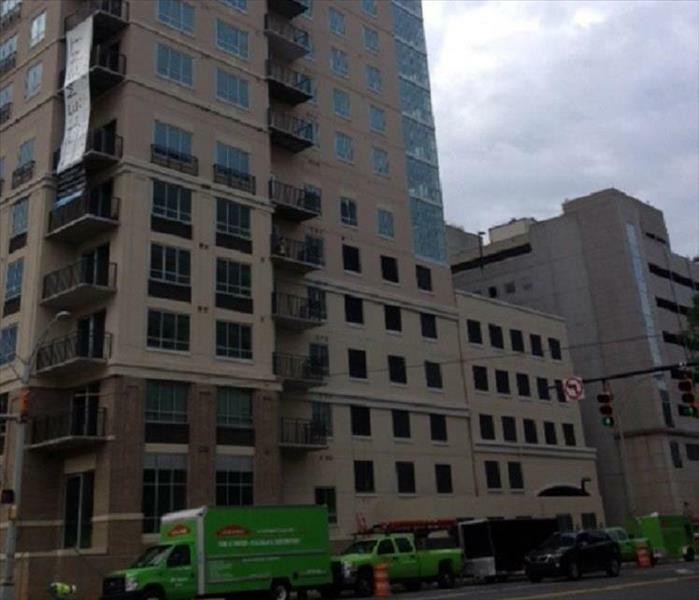 At SERVPRO, we have specialized equipment that can often save the cost and mess of demolition. Here you see the Injecti-dry wall system at work in a local daycare center. While there are some 276,000 women-owned businesses in North Carolina, few have risen as fast and as high as Penny Benkeser. 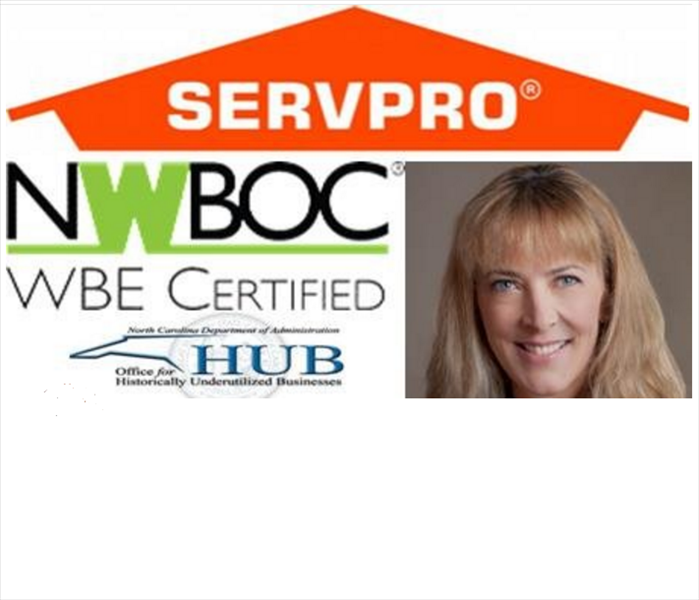 As owner of both SERVPRO® of Northwest Charlotte and SERVPRO® of Lincoln and eastern Gaston Counties, she has grown her firm to 20 full-time employees in three years, and has recently earned the Women Business Enterprise (WBE) certification by the National Women Business Owners Corporation (NWBOC). Penny’s company is one of only 64 which have been awarded in the state of North Carolina, and one of only 5,000 awarded in the nation. The WBE certification is the result of a rigorous national committee review of Penny Benkeser’s SERVPRO businesses and her business model, a four to six month process. Members review her application and follow-up with an on-site visit to meet with her and her team. We were excited to sponsor the Lincoln County Chamber's 2nd annual Golf Tournament for 2016. 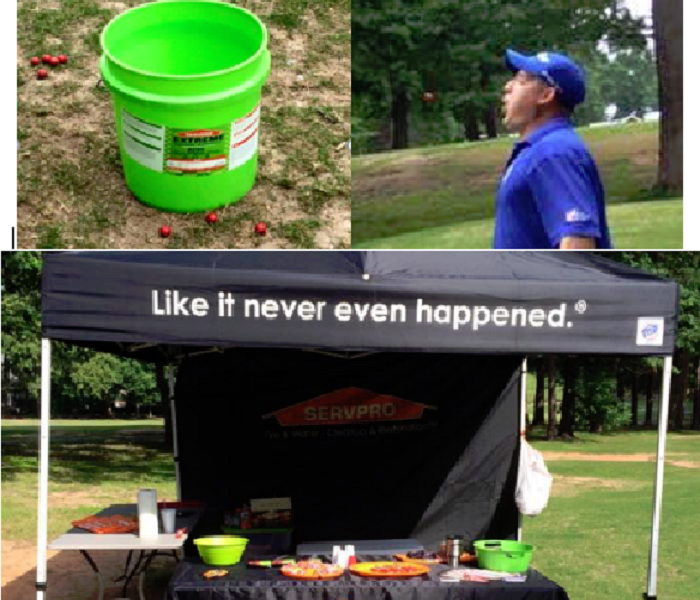 Here you see visitors trying to spit cinnamon "Fireballs" into a SERVPRO bucket. We don't put out the flames but we will happily help you make your fire damaged property right again!